Would Governor Cuomo’s Idea For A Payroll Tax Work? 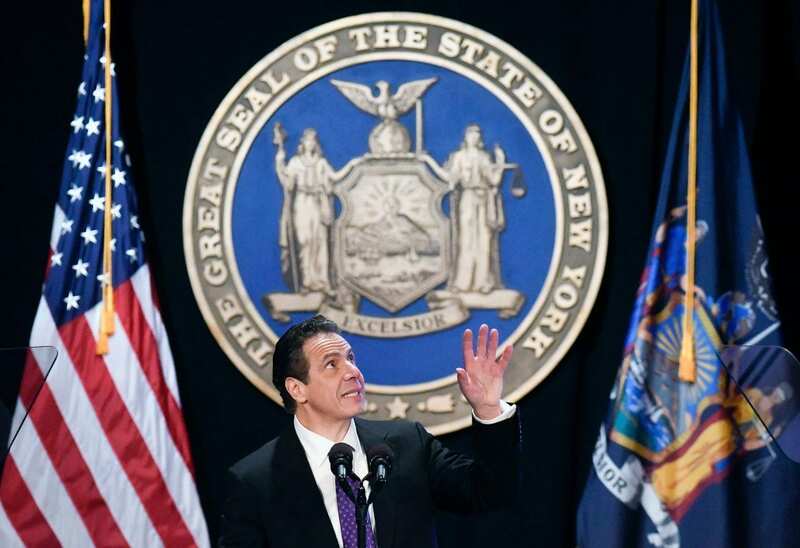 ALBANY (WSKG) – Governor Cuomo, in his State of the State speech this week floated the idea of converting the state income tax to a pay roll tax to help reverse the new federal law that limits deductibility for state and local taxes. Many support the concept, but businesses say it’s not so easy to make the change and it could bring unforeseen complications. Cuomo has vowed to sue the federal government over what he says is double taxation. And he’s also authorized a study of the state’s tax code. He hopes to mitigate the effects of the strict new limits for deducting state and local taxes. Up to $10,000 of property taxes can still be deducted, under the new federal law passed by Congress and signed by President Trump in December. But state and local income taxes are no longer deductible, which is a financial hardship to middle and upper income people in relatively high tax states like New York. “We are developing a plan to restructure our tax code, to reduce reliance on our current income tax system,” Cuomo said. “And adopt a statewide payroll tax system”. Instead of workers paying income taxes, employers would take the equivalent amount of money out of a worker’s pay check in the form of a payroll tax. The business would then pay the tax, and deduct it from their federal taxes. The employee would then have a lower net income to declare to the IRS. So they would save the same amount on taxes that they did under the old system. Assembly Speaker Carl Heastie, who also teaches a college course in financial management, says it could work. “We’re very encouraged by the pay roll tax idea because then that would restore what Washington has taken from us,” Heastie said. Senate Republican Majority Leader John Flanagan says he has some reservations about the idea, and whether it could be used as a back door way for the state to increase taxes and generate more revenue to fill the over $4 billion dollar budget deficit. “My initial reaction is, we don’t want to talk about anything that relates to raising taxes,” Flanagan said. The New York State Business Council is also leery of the idea. The group’s Ken Pokalsky says it’s more complicated than it sounds. He says the change would affect union contracts that are already locked in place. It might mean major renegotiations with organized labor, because the switch to a pay roll tax would also technically cause a salary reduction for workers. Pokalsky says while a payroll tax is deductible under current law, there’s no guarantee that Congress would not act to change that in the future. If the switch from a state income tax to a payroll tax results in less revenue for the federal government, Congress might decide to no longer allow the deduction. That would suddenly leave New York’s businesses with a higher tax burden. Pokalsky says the business group is not averse to looking at ways to minimize the partial loss of the state and local tax deductions, and backs the governor’s plan to convene a study group to restructure the state’s tax code. He says they might come up with other new ideas. Another proposal from Cuomo would convert property taxes to charitable contributions, which are still deductible. Taxpayers instead of paying property taxes would instead give the money to a charitable fund set up for their local schools and governments.